Truly a Home Away From Home with the added pleasure of the beach. A most comfortable, fully furnished and equipped 3 bedroom-4 bath home with den and game room located directly on the ocean. Essentially a private beach, located in a 4 mile stretch of single family homes over a mile away from the nearest public access-Vehicular traffic limited to an occasional bike and a twice a day tour by the sea turtle nesting patrol or police on an ATV. We enjoyed 8 years of vacation rentals here prior to purchasing the home in 1996. I am sure you too will want to return after your first stay as it is the 'Best Value on the Beach'. A two story structure with both elevator and stairway access to the second story. Big fenced grassy yard on the oceanside with new seawall and steps right down to the beach. A circular drive provides safe and easy access to the highway (A1A). The garage provides parking for a single car and contains a water softener, washer, dryer, freezer, gas grill and a second refrigerator. The first floor includes two bedrooms (Queen Beds), two baths, breakfast bar (seats 2), dining area (seats 6), fully equipped kitchen, living room with ample seating, cable TV, CD/Radio and access to the oceanside deck and fenced yard. Each downstairs bedroom has a 32' flat screen tv. The living room has a 47' flat screen tv. The second floor contains the Master Suite (King Bed, Walk-in Shower, Walk-In closet and Cable TV, 32' flat screen tv), Office (Desk, chair, printer, and a computer with DSL Internet access and a WI-FI router), Den (Seating for 6 and Cable TV, 40' flat screen tv)and Game Room (game table, wet bar and refrigerator as well as a collection of puzzles and board games. 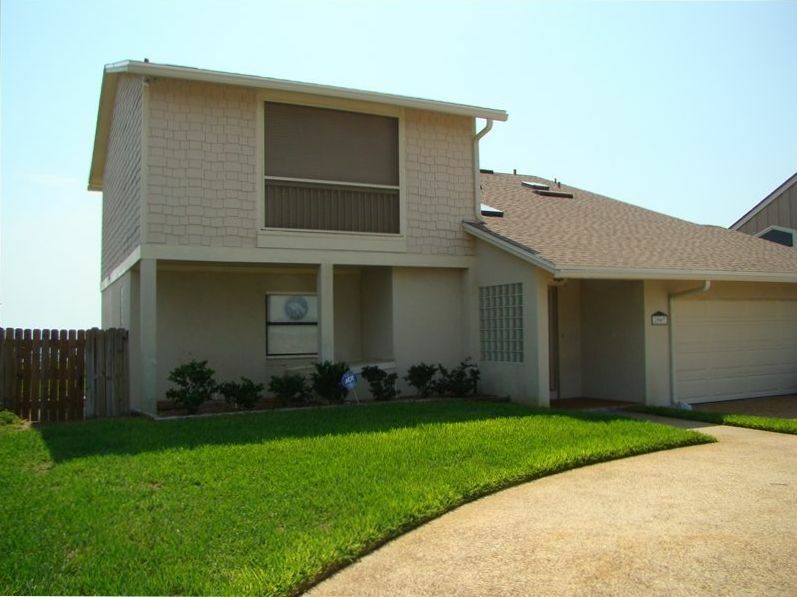 All include ceiling fans and access to screened porches on both the west (view of Guana Preserve) and ocean sides. Beautiful location right on the Atlantic ocean! Rental weeks are Saturday to Saturday- check in Saturday after 4 p.m. and check out Saturday by 10 a.m. Rates are subject to change until reservation is confirmed.